Goldmine Gift Subscriptions Now Available! The Goldmine is Fool’s Gold’s premium digital subscription service, powered by drip.fm. 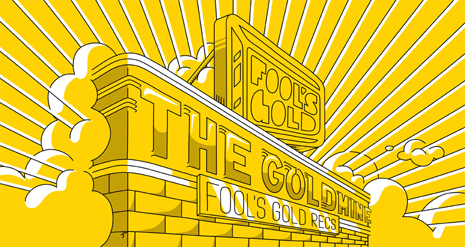 Members get every new Fool’s Gold release as high quality mp3s or WAVs, bonus joints from the archives, Goldmine-only remixes (like Brodinski’s insane take on Danny Brown’s “Die Like A Rockstar”), accapellas and more. Not to mention merch discounts, exclusive access to events… it’s kind of a big deal! 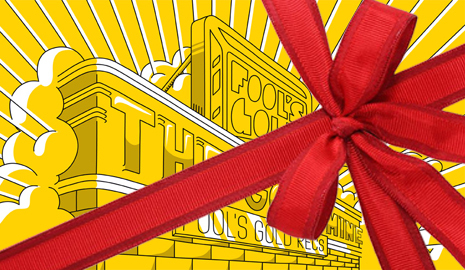 Give the gift of Goldmine to a Fool’s Gold fan in your life (or anyone who just likes new music) this holiday season with a drip.fm gift subscription, available in one, three, and six month amounts. Why not gift yourself, while yer at it? Tis the season!